2 Lbs. Valentine Assorted Chocolates Tray. Pick up or Delivery Only. 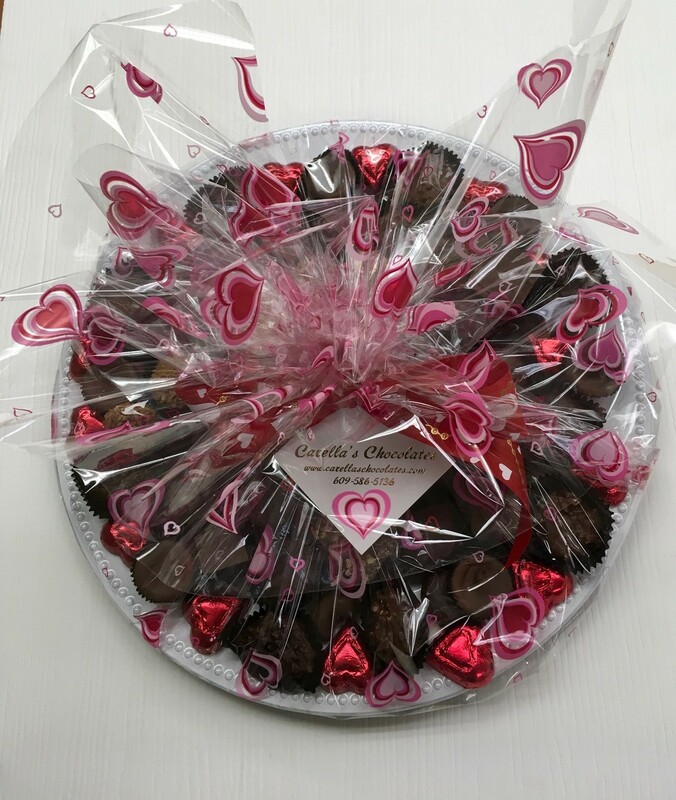 Carella's Chocolates loves creating Chocolate Trays for any occassion. This is our Valentne Tray, 2 Lbs. of Assorted Chocolates adorned with Milk Chocolate foil covered Hearts. Simply Delicious. Have this tray delivered to your business, relative or loved one. Or pick up in store.